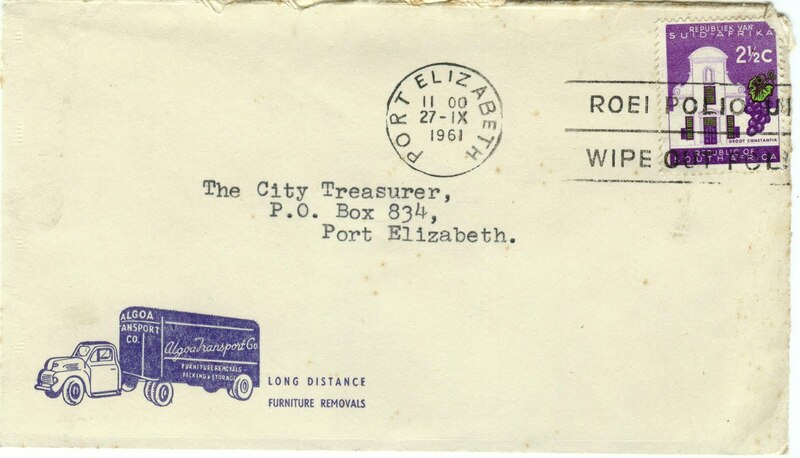 This kicks off with probably my last 1961 envelope with an interesting illustration on the front. 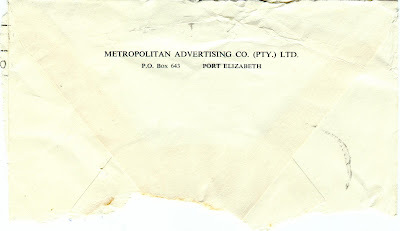 The Algoa Transport Company is not listed in the phone book, so I guess it's no more. But don't you dig the drawing? 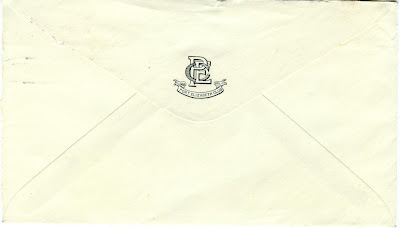 The PE Club was once an institution in Port Elizabeth. Based in Bird Street, the building dates from 1906. For a while, recently, the club housed both the redundant St George's Club and the PE Club, but today the building has been taken over by a firm of attorneys, though I believe a vestige of the club remains. 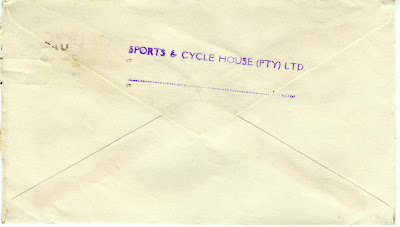 I love the understated logo on the back of this envelope. 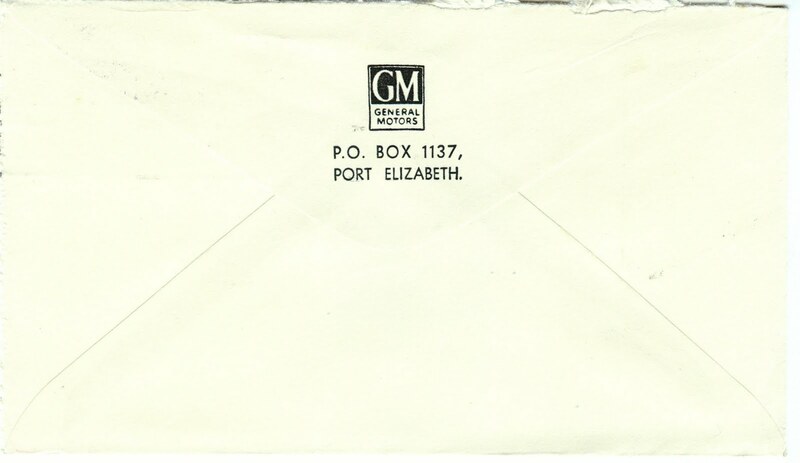 Fortunately, during the self-destructive quest for companies to disinvest from South Africa in the 1980s as a protest against apartheid, Port Elizabeth did not lose its General Motors plant. 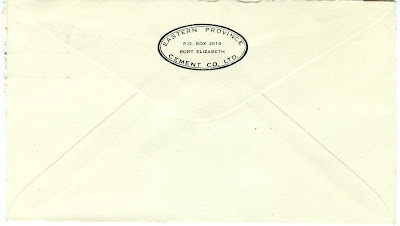 One of the oldest in the world, it was established in the city in 1913. 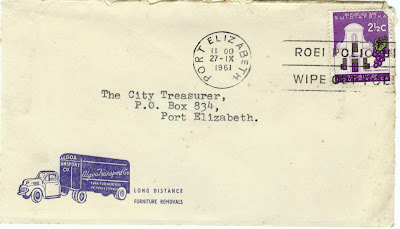 Sadly, the city lost Ford in the 1980s, with the plant moving to Pretoria. 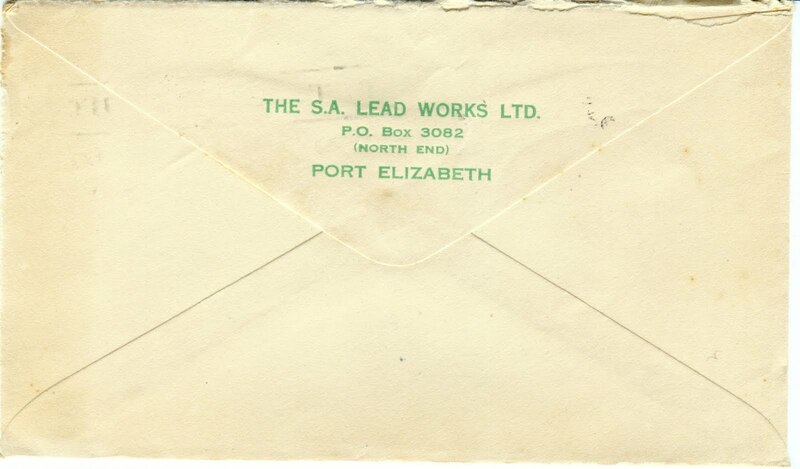 Fortunately, Ford still has a presence in PE with its engine plant. 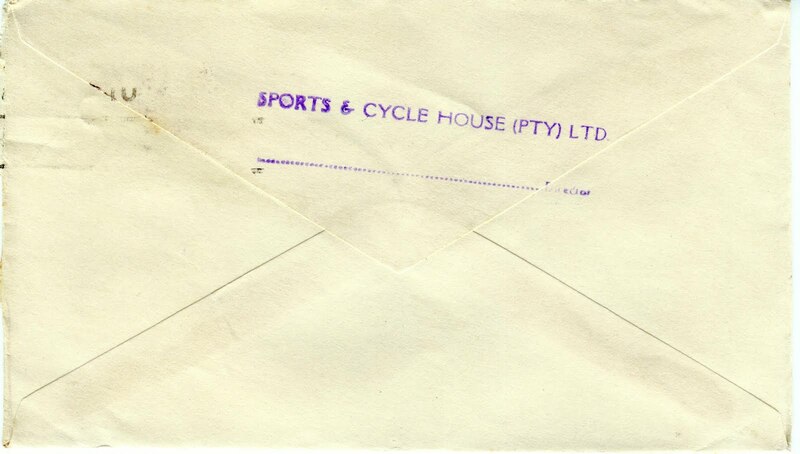 Not surprisingly, Sports & Cycle House is no longer listed in the phone book. I wonder if anyone remembers it. Here's a nice logo. In this era of mega firms like Sun International, Sun Insurance Office no longer seems to exist. 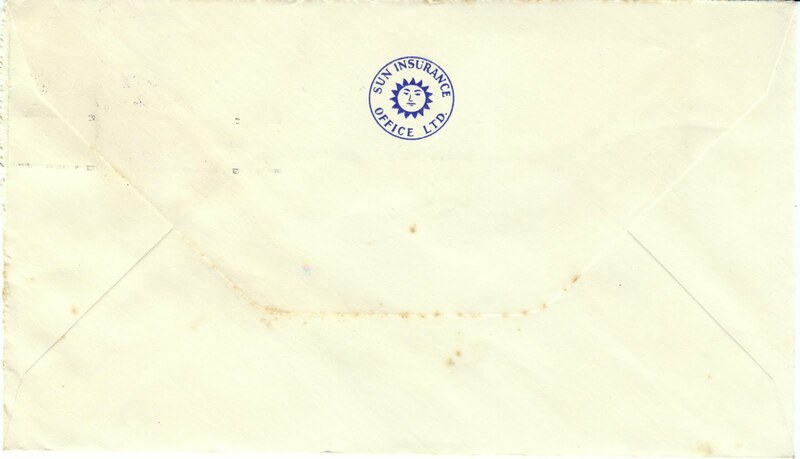 A google search reveals that the Sun Insurance Company was formed in Montreal in 1865. It is now Sun Life. Was this the same firm? 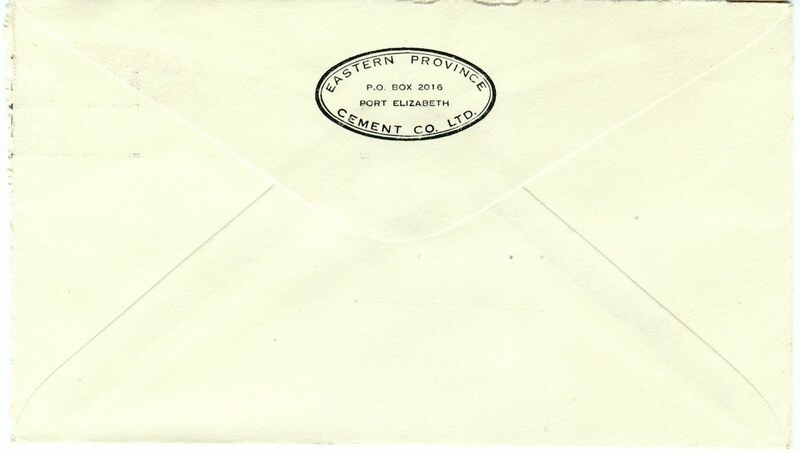 Eastern Province Cement is not in the phone book, so must have withered on the vine. Not much on google either, except a reference to a train originally made for this company which was taken over by the Brecon Mountain Railways in Wales in the 1970s. 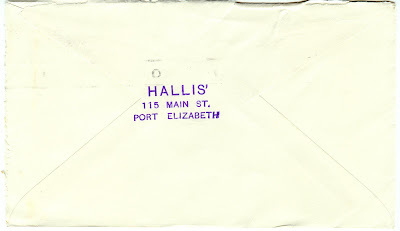 The curiously named Hallis' (note that apostrophe) is no longer listed. 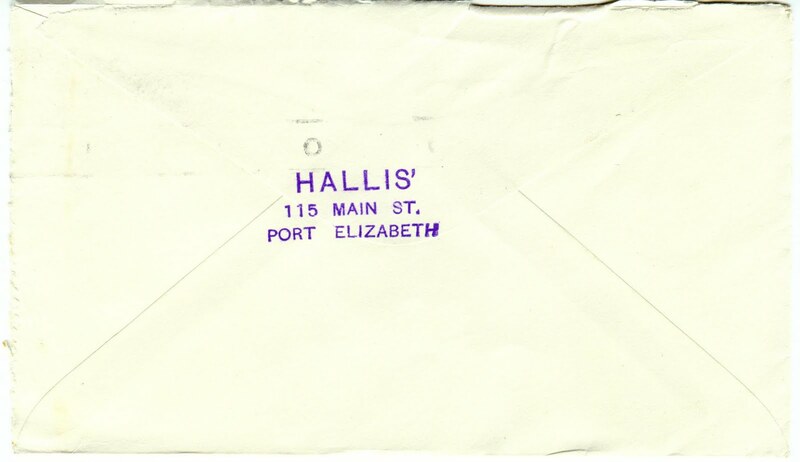 There is a Hallis recruitment company on the Web. 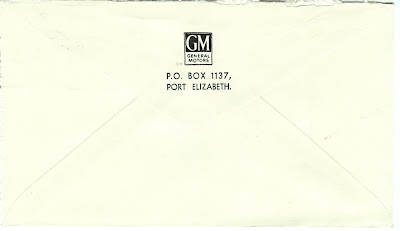 Maybe this was part of it. Now here's a firm to conjure with. 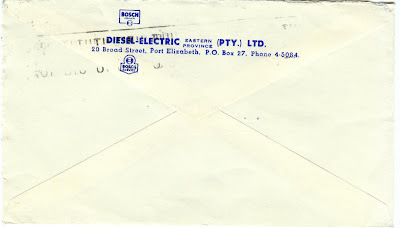 Diesel-Electric is still in the Port Elizabeth phone book, though it seems to have moved from Broad Street to Sidon Road, North End. There is a D-E site on the Web, but it's not historically informative. 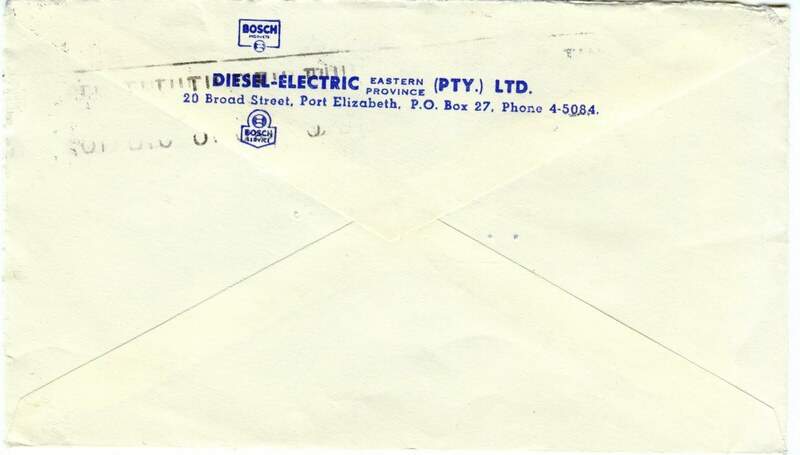 Evidently there are 32 automotive wholesalers in the country under this name, and they use Bosch as a major supplier. The Port Elizabeth Board of Executors and Commercial Trust Company, Limited, is quite a mouthful. Presumably this is the same firm currently known as BoE, which is somewhat shorter. BoE is in the phone book, obviously. 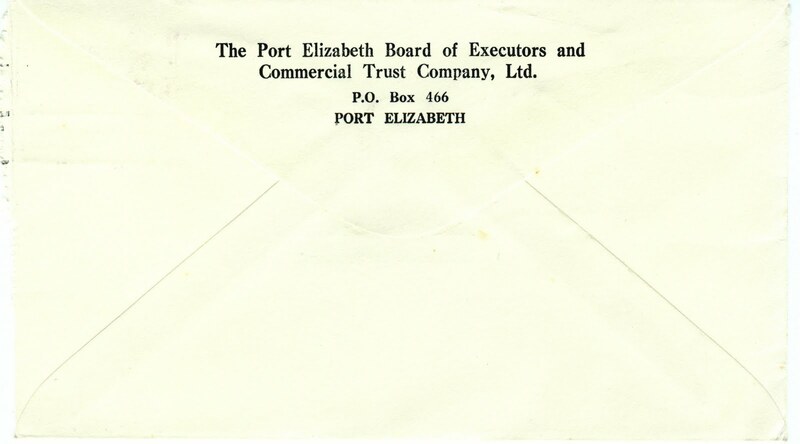 A google search reveals on a Nedbank website that the Board of Executors was formed in Cape Town as a trust company in 1838. Somehow, through a myriad mergers and what not, BoE has remained. 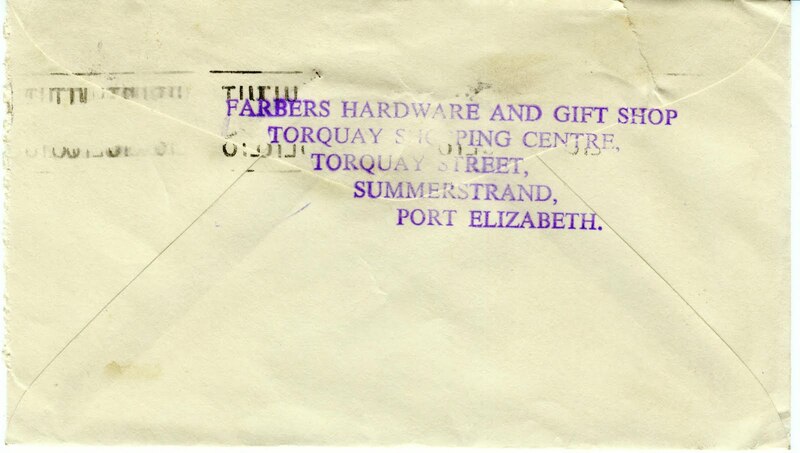 Would this have been from the local branch? There are just two Gluckmans listed in the PE phone book, one with the initial L. A tenuous link. 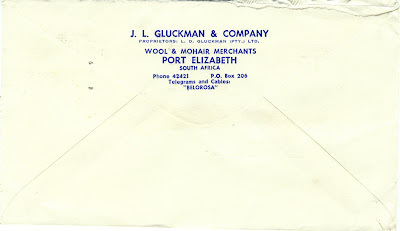 Clearly, though, J L Gluckman & Company, Wool & Mohair Merchants, are no longer a going concern. 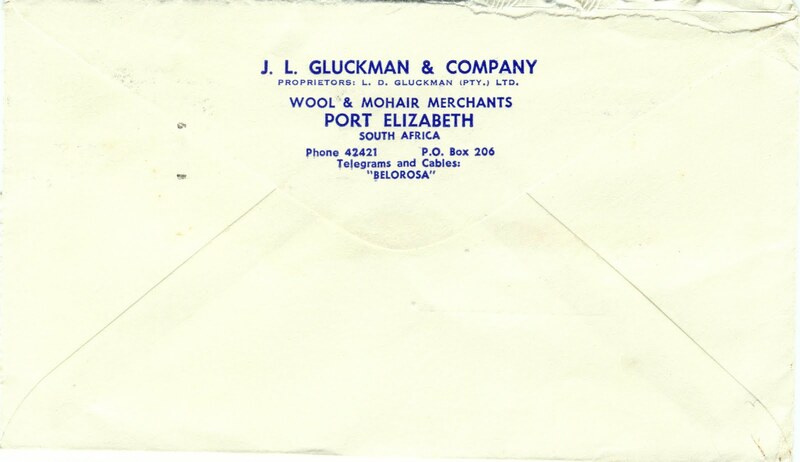 There is a Gluckman textile company in Miami, Florida. I wonder if there's a link? 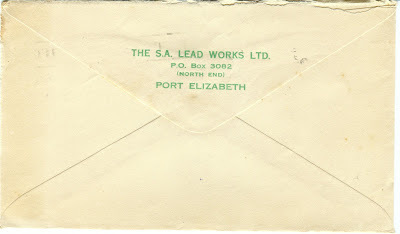 Also no longer listed in the phone book, the SA Lead Works seem to hark back to an earlier industrial era. 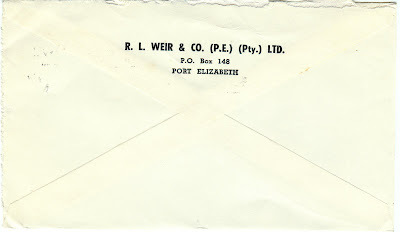 Could Weirs Cash & Carry be connected to this firm, R L Weir & Co, which is not in the book? 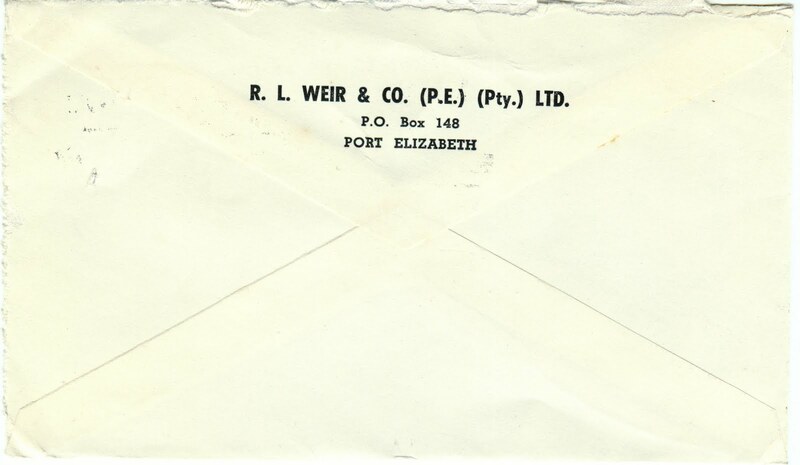 There is a R L Weir Motors listed on Hotfrog, a business directory, on the Web, in Neave Township. Could it be linked? 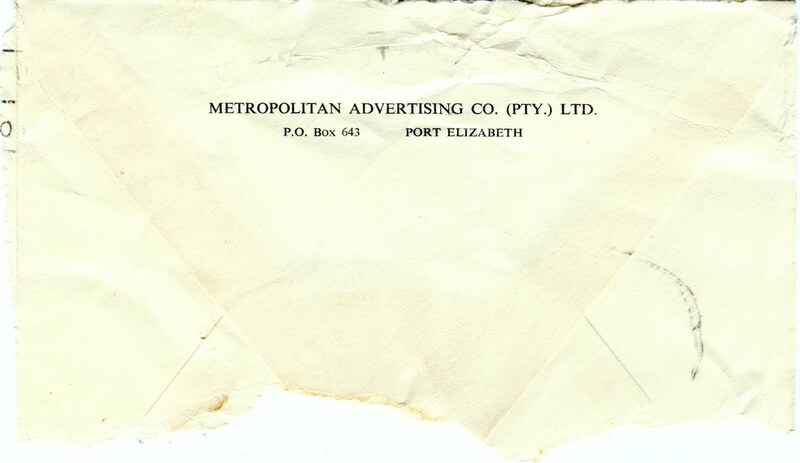 Not surprisingly, the Metropolitan Advertising Co is also not listed. 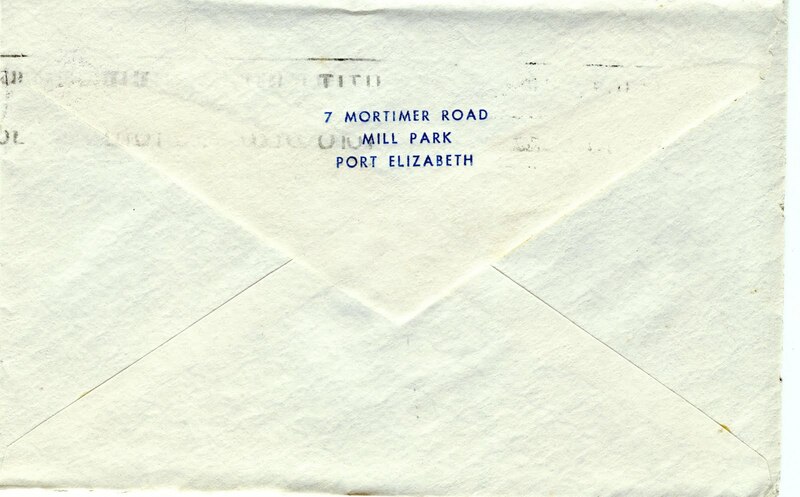 Mill Park is arguably PE's larniest suburb. 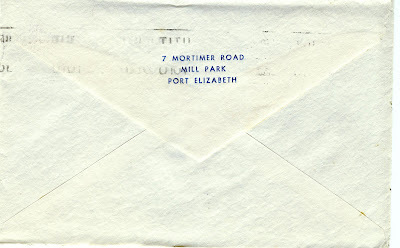 Hence the envelope with a return address printed on the back. 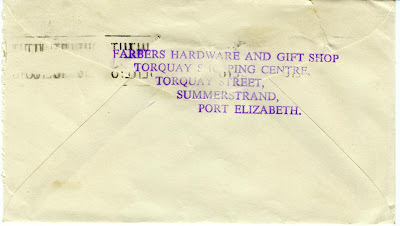 Senior residents of PE will remember Farbers Hardare and Gift Shop. There aren't even any Farbers listed in the phone book.